Scotland is famous for its Lochs. A Cruin wedding offers couples a spectacular location on the banks of one of Scotland’s most famous Lochs, Loch Lomond. Eilidh and Andrew grew up around Glasgow but had both moved down to London. They decided that when they got married it would be perfect if they returned to the area for their wedding. 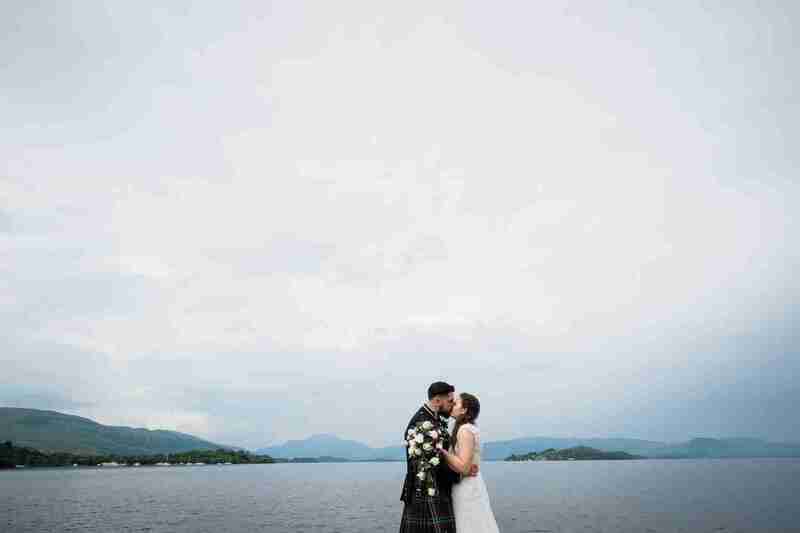 We turned up to photograph their wedding on a glorious summer day and got to enjoy their sweet, personal, wedding ceremony outside against the backdrop of Loch Lomond with Ben Lomond in the distance. It was fantastic to see all their friends and family celebrating as they walked back down the aisle. The evening was equally fun with everyone up on the dance floor. This was exactly the day we expected it to be. Fun, friendly and full of life!